Before this, there were no cartoon characters, or even a claymation lower intestine that tell us which medication can help with digestion. One of the drugs discussed in this article is Eliquis. Eliquis is member a class of drugs known as new oral anticoagulants (NOACs). This medicine is for patients who suffer from a serious medical condition known as atrial fibrillation (Afib). Afib is an irregular heartbeat not the result of a heart value defect. For many years, the medicine used to treat Afib was a blood thinner known as Coumadin (warfarin). While warfarin is generally considered very safe, the patient must watch his or her diet very closely, because certain foods that are high in vitamin K can affect the absorption rate of warfarin. If the rate of absorption is off, it can cause the patient to suffer a serious internal bleeding disorder. Patients of warfarin also have to have frequent blood tests to make sure the dosage are correct. While this can be very dangerous, it is easy to predict when it will happen, and there is an antidote, which is also known as reversal agent. On the other hand, the makers of Eliquis claimed their drug was a one dose fits all medication, and there was no need to closely monitor the dosage and have frequent blood tests. Unfortunately, as our Boston Eliquis injury lawyers have seen in many of the cases currently being filed, it seems that one size dosage is not correct. Many people suffered serious internal bleeding disorders. Unlike with Warfarin, there is no antidote at this time. 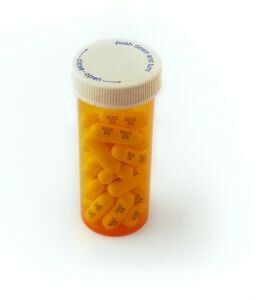 There is, however, another medicine called Pradaxa that is essentially the same as Eliquis and has all of the same problems, but it now has an antidote called Praxbind that researchers believe will also work as a reversal agent for Eliquis, but it has not been approved for this purpose as of this time. For years, there were patients coming into emergency rooms after getting an internal bleeding disorder form one of these NOACs like Xarelto, Pradaxa, and Eliquis, and there was nothing doctors could do to stop the bleeding. Many patients actually died of this condition, and this is the basis for many of these lawsuits, including failure to warn of known danger. As noted in the article, before there was direct marketing to patients, doctors did not have as much pressure to prescribe a particular medication. However, under the old system, before a lot of FDA reforms, drug companies were allowed to send reps to doctors and buy them lavish gifts, fancy dinners, and even pay for vacations in exchange for meeting with reps and giving samples to patients.